Key Difference: The primary difference between mobile banking and internet banking is that mobile banking is accessed through an application on the smartphone, whereas internet banking is accessed through a browse, typically on a computer. In today’s digital age, people are used to having all of the information on their fingertips. Not only can they access information from the internet, they are also used to taking care of business over it. People do their job remotely from home or elsewhere, they conduct meetings from their home via teleconferencing, they even shop online. With so much ease and convenience at their fingertips, physically going to the bank becomes a chore. Hence, the invent of mobile banking and internet banking. Mobile Banking and Internet Banking are two different way for one to take care of banking without having to physically get up and go to the bank. However, there is a difference between how each one is used. 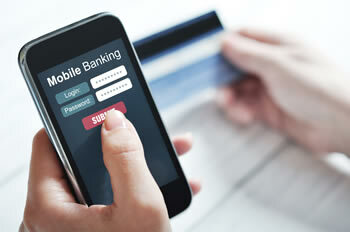 As the name suggests, mobile banking is done on the mobile, i.e. smartphone. It typically requires one to download the mobile banking application from the respective bank. One needs to register or sign into the application, which provides one with a list of activities and transactions that the person can do. One does require access to the internet either via a Wi-Fi network or via mobile data. Internet Banking, on the other hand, is typically done through a computer. 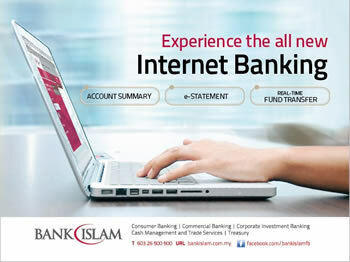 In this, one accesses the internet banking, also commonly known as net banking, via the bank’s website on a browser. One can also access net banking via a mobile phone, by using a browser on the phone. However, if one uses the mobile application, then it would be mobile banking and not internet banking. The transactions available on mobile banking and internet banking are more of less the same, however that depends primarily on the bank. Both allow the customers to check their bank balance, view and request statements and cheques, etc. Nowadays, one can also make online payments, pay bills, transfer money, etc. via both mobile banking and internet banking. However, it often happens that mobile banking may have some limited options as compared to internet banking. This again depends on the bank and their applications, but this divide is closing fast. The primary benefit of Mobile and Internet Banking is that one can do the transaction from the convenience of their home or anywhere without having to go to the bank. One also does not have to wait in a queue at the bank to actually do their banking. Additionally, mobile and internet banking are available 24 hours a day and 7 days a week, so that one does not need to take care of everything during bank hours. Requires access to internet, typically though Wi-Fi or wired connection.